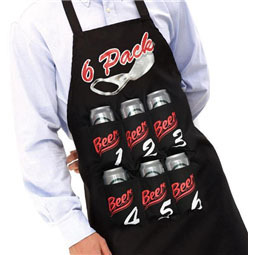 The ultimate apron for men who can't cook! 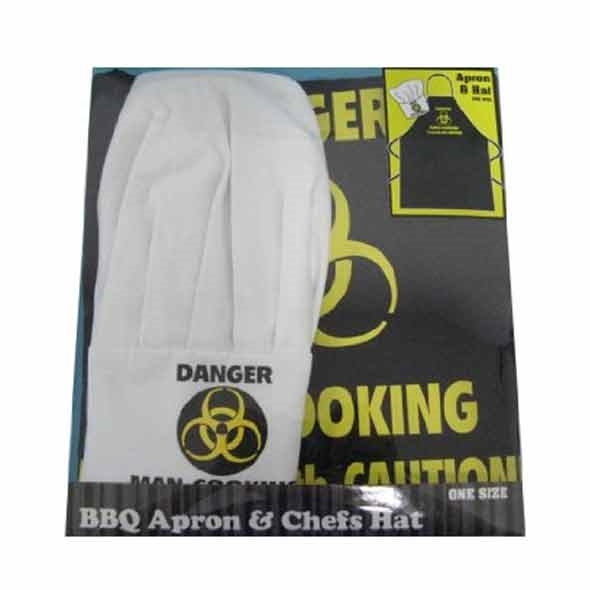 If your culinary prowess leaves a lot to be desired, this apron and hat set is a good way of lowering everyone's expectations. 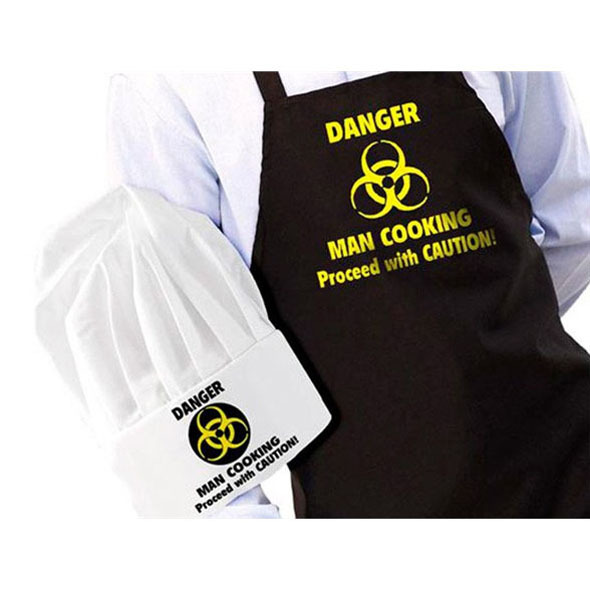 Both the apron and the chef's hat bear the slogan "Danger - Man Cooking - Proceed With Caution", and drive the point home with a dangerous-looking biohazard sign. It's great for those of us who can't even make cheese on toast without drawing blood. 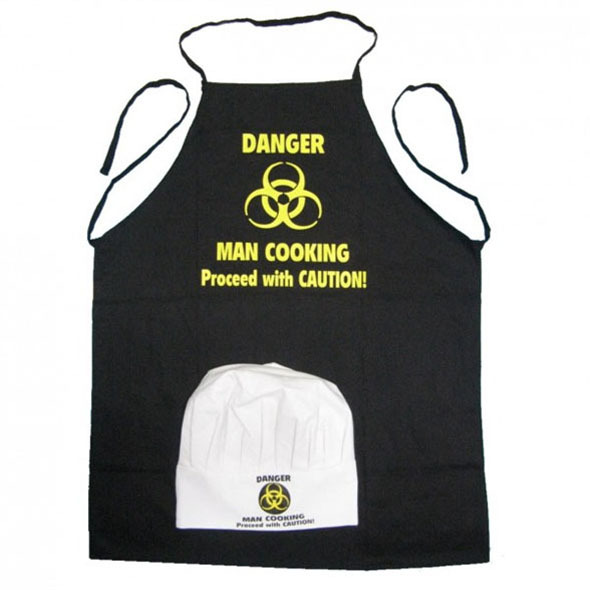 This set contains a black apron and white chef's hat, both of which are 100% cotton and bear the slogan "DANGER - MAN COOKING - Proceed With CAUTION!". 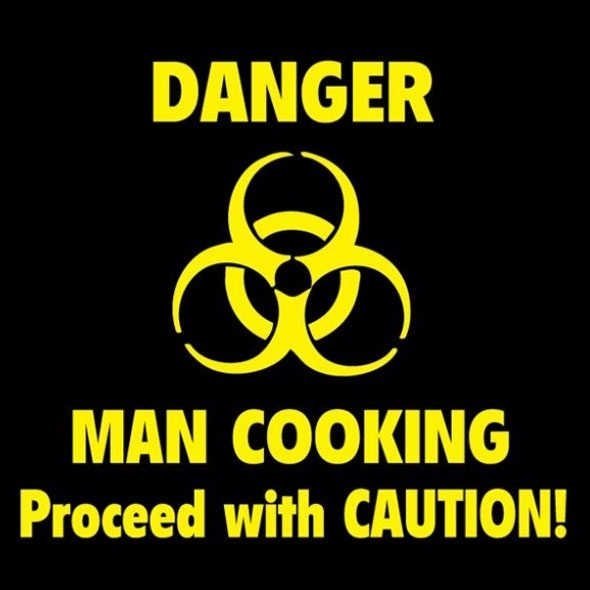 There's even a biohazard symbol to really let people know what a terrible chef you are. Important Notice: If your husband/boyfriend/platonic male friend fancies himself as something of a chef, the 'Man Cooking' apron may hurt his feelings. For this reason, we recommend that you gift with caution - even if you can scarcely bring yourself to swallow his culinary creations, he may be blissfully unaware of his own uselessness in the kitchen!